With each new release of the modern-day motor vehicle systems get a bit more complex. More sensors are added to track things like tire pressure, engine temperature, and anything else that you can think of to help drivers and mechanics track and maintain the vehicles. Additional safety equipment and media system capabilities are being worked into vehicles each year as well. As vehicles become more complex, they become more difficult to diagnose and repair. That’s why OBDII scan tools are absolutely necessary for diagnosing and fixing vehicles on your own today. Even vehicle owners that aren’t interested in making repairs can benefit from a good scan tool, because it will let them get an idea of what’s wrong with their vehicle, before bringing it in to the garage to be repaired. 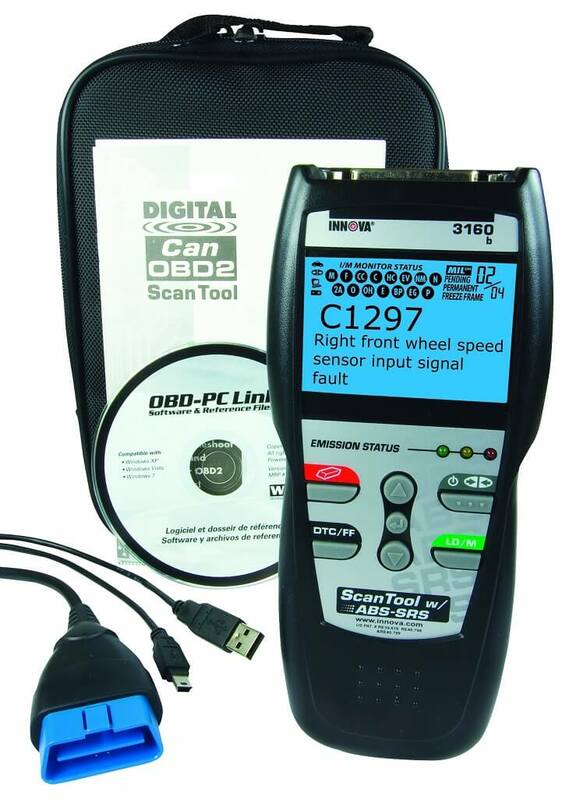 These scan-tools don’t just help with diagnosing vehicles problems any longer though, they also provide a way to access additional vehicle information, such as speed, fuel efficiency levels, engine coolant temperature, tire pressure and a whole bunch of additional electronic information that vehicles give off today. By owning the right tool you can tap into that hidden electronic communication that your car is giving you, and become a more capable vehicle owner overall, but all tools are not created equal. 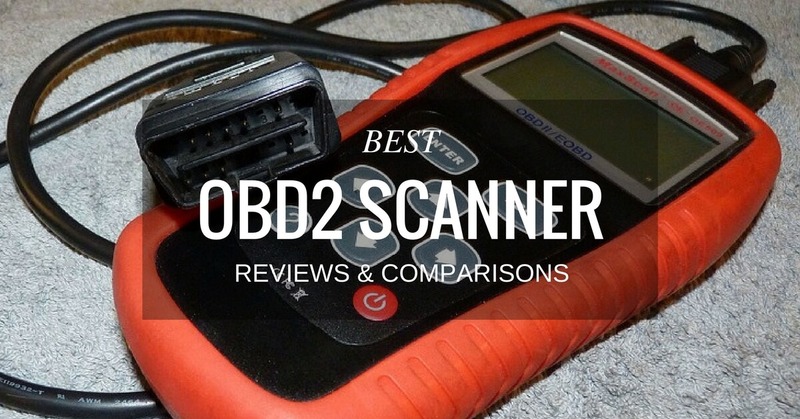 That’s why we gathered these top five scan tools and tested each one of them out, to determine which is best OBD2 scanner for the money and most worth a purchase. **Below, you'll find our more detailed reviews and comparisons, but you can also click the links above to see current prices or read customer reviews on Amazon. Evaluating tools fairly isn’t a simple task. 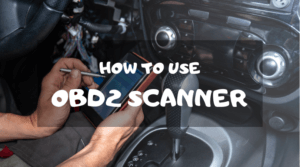 To help with the job we put together a list of common considerations to use in our OBD2 scanner reviews while looking at each of the tools. They evaluate the usability and diagnostic capabilities of each of the devices. The information that’s provided by a device, and how everything is displayed is important to consider. The most important features should be easily accessible, and the information provided should cover all your basic needs. Whether you pick a handheld unit or a Bluetooth adapter when deciding on the best OBD2 scanner, it’s important that you’re able to use the tool over an extended period of time while diagnosing your vehicle. That’s why the battery life of wireless tools, and the power draw of plug-in tools is an important consideration when picking up any monitoring device. 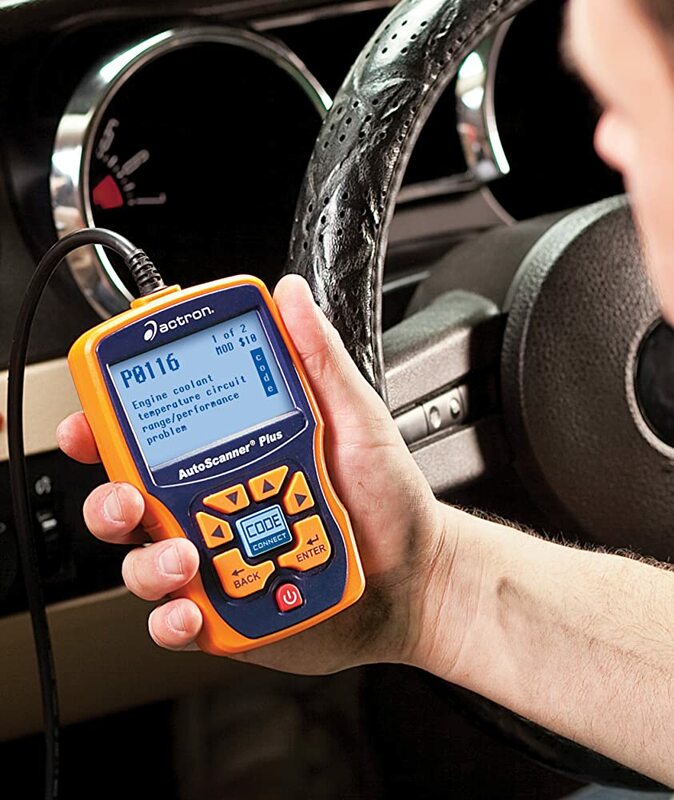 When it comes to picking out a scan tool to use on your vehicle, diagnostics are everything. These features allow you troubleshoot any error codes your vehicle is putting out, while also helping you evaluate your engine and the other electronic components throughout the vehicle. The best scanners come replete with diagnostic tools that enable you to solve some of the same problems that mechanics are able to solve. Car scanners are designed to manage data. They pick up vast amounts of information from your vehicle computers, and how that data is managed is something that really needs consideration. We look at whether the device offers information graphing, data logging, printouts and other advanced monitoring and data processing features. With BlueDriver it’s easy to check error codes and look at a wide range of live vehicle information. 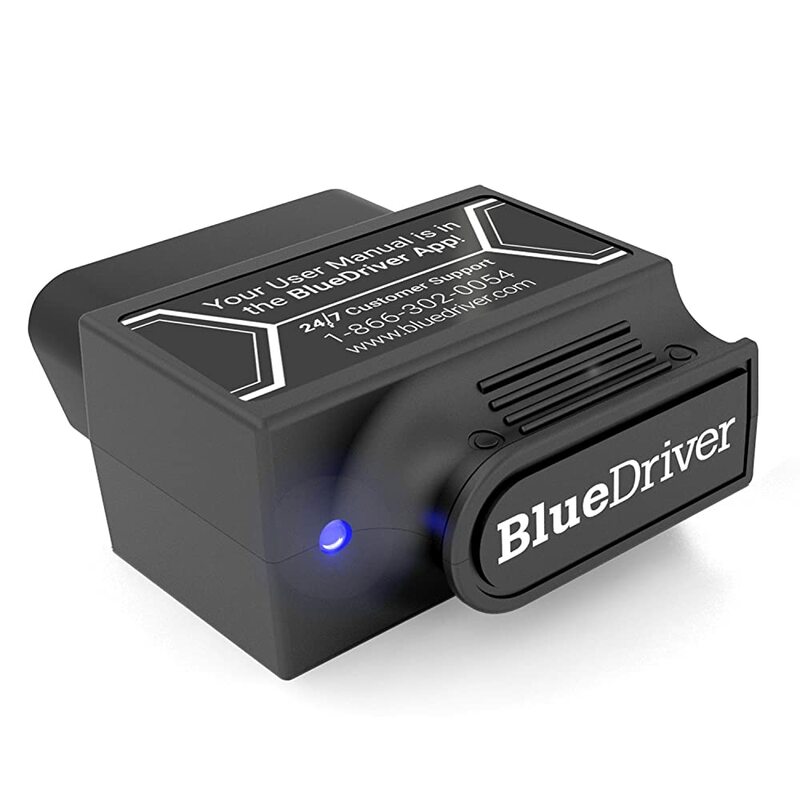 BlueDriver is a car diagnostic scanner that connects to a compatible Android or iOS mobile device. Once connected up information is displayed in neat categories for simple access. There’s a section for live data, another for the diagnostic functions and a separate tab for the less-often used functions. Each tab is split into neat categories that are simple to understand and can be accessed with a tap of the finger. With BlueDriver it’s easy to check error codes and look at a wide range of live vehicle information. The default OBDLink MX software offers a simple navigation menu to help you get to the features you value most. From the home page you have six simple buttons to press to access diagnostics, settings, information logging, and monitoring functions. It’s easy to acquire rich tracking data, and diagnose serious computer-related issues with the device, and the software is intuitive to use. We didn’t need a manual to figure out how to access most of the important features and neither will you. The Innova 3160 Diagnostic Scan Tool displays a lot of information on every screen and can be overwhelming to use at first. That’s why we’d consider it more of a professional’s tool than a hobbyists. It shows which section you’re currently looking at, and detailed information about that section. It’s simple to jump through the tool capabilities with one of the several buttons out on front of the device, but you’ll need to read the manual in order to learn what all the buttons mean and how to use them properly. After we sat down and learned what the buttons meant, it was refreshing how quickly you can jump to the desired function of the tool. When testing out the AutoLink OBDII Scan Tool we were impressed with how simple it is to use. The main screen has just four selections to choose from to get to all the many different utilities, and this tool has several. Once you understand how to use the tool it can be used to check for generic and manufacturer specific error codes. Not only that, but the system is also capable of reading both ABS and SRS system codes as they come in. The Actron AutoScanner Plus relies on a digital display that’s pretty straightforward. It has a set of master menu selections that break down into more specific items. That said, the menu is a bit more difficult to navigate than some of the other scanners I tested out, particularly the Autel model. I was able to find all the different functions needed to scan a few different vehicles and the device isn’t too difficult to use, but you may need to consult the manual during use the first time or two. 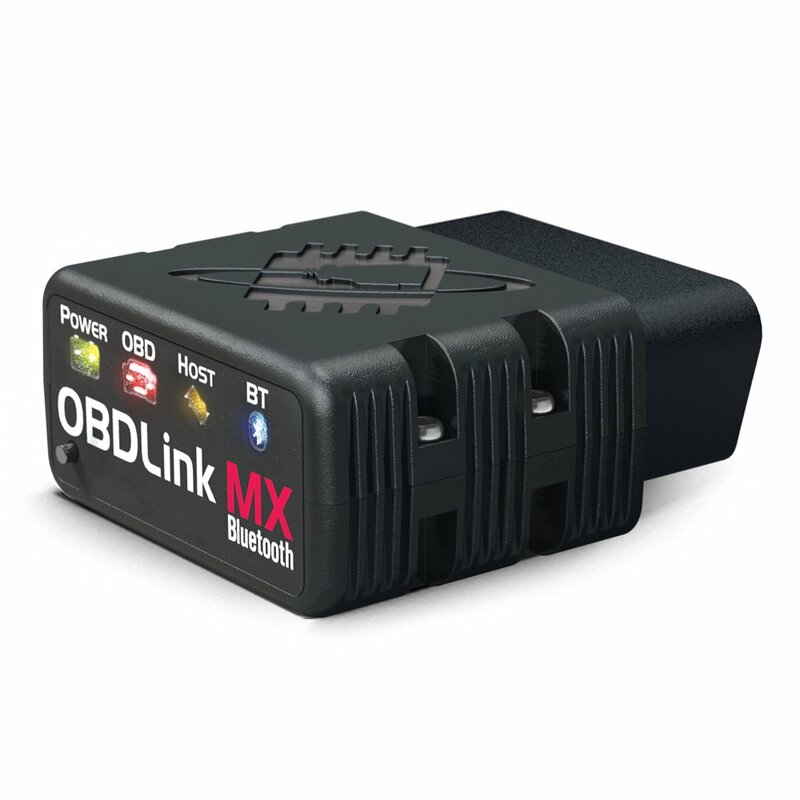 OBDLink MX is designed to draw a very low level of power during use to avoid draining the vehicle battery. BlueDriver is a small ODB2 connector that transfers data through a Bluetooth connection to a smartphone or tablet. It draws a very low amount of power during use, and can actually be left plugged in all the time. The connector is built with a feature that keeps it from draining down a battery when used constantly. 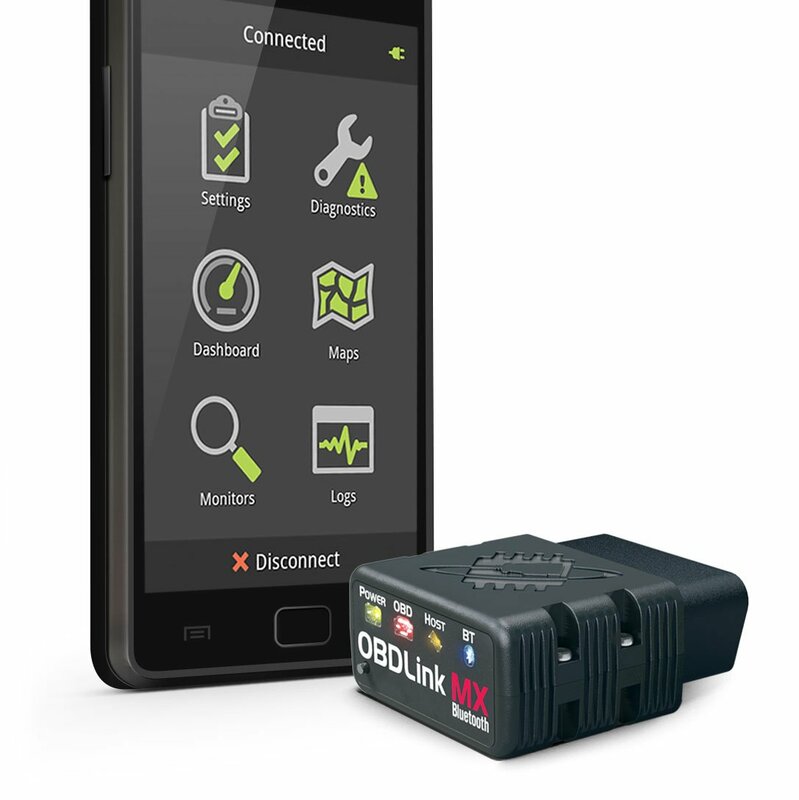 OBDLink MX didn’t appear to be a noticeable draw on the car battery during testing. It’s designed to draw a very low level of power during use to avoid draining the vehicle battery. This device also comes with a helpful sleep function to prevent it from drawing power when the vehicle is turned off, a feature that isn’t available in many Bluetooth scanner tools. The Innova Scan Tool is powered completely through the OBD2 plug so it doesn’t require internal batteries at all. This means it will run as long as it’s plugged in, but it doesn’t draw much power from the battery during use. It’s important to avoid leaving the scan tool plugged in when the car is turned off, because it will draw power the whole time it’s plugged in, but it’s perfectly fine to use this scanner over short periods, even when the vehicle isn’t running at all, and it will take a long time to discharge a battery with this handheld scanner. This scan tool doesn’t rely on any internal batteries, so battery life isn’t a concern during use. Instead it draws a low amount of power straight through the OBD2 line, allowing nearly unlimited use. The scanner draws such a small amount of power that it’s not a danger to car batteries, even when the vehicle isn’t running, but it still shouldn’t be left plugged in for days in an unused vehicle. The Actron Enhanced AutoScanner is a low-draw device that gets its power from the port it’s plugged directly into. The scanner is frugal with battery life and can be plugged into a vehicle over an extended time without issue. It comes with a power button, making it even easier to manage the power draw of the unit. The scanner is designed to run straight through the power of the car, and so there is no battery life to worry about on the scanner itself. 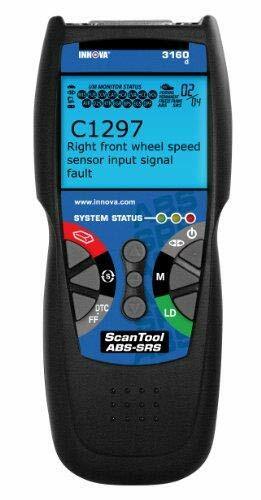 Innova 3160 diagnoses both ABS and SRS codes, capabilities that aren’t too common. We found the BlueDriver to be a highly capable device for diagnosing vehicle problems and aiding in maintenance tasks. It enables all the standard testing and diagnostic features that you would enjoy with a professional handheld scan tool. The scanner is capable of reading and clearing codes for all makes and models of vehicles. It can also work with advanced codes from vehicle makes like GM, Chrysler, Ford and Toyota. The scanner can even be used to see if a vehicle is ready for a smog check, or to look at more advanced tests like a misfire count, for professional diagnostic capabilities. Without quality diagnostic capabilities a scan tool is useless, and OBDLink MX from ScanTool is highly capable in that regard. It effectively logs error codes and explains their meaning. The scanner can check the engine for misfires, can look over fuel system components and check for emissions test readiness as well as look for the Malfunction Indicator Lamp among other things. The 3160 diagnostic tool is designed to troubleshoot most electrical problems on 1996 model year vehicles and newer. The tool comes equipped with a handy OBD2 cable for easily connecting to plugs in most locations. It diagnoses both ABS and SRS codes, capabilities that aren’t too common. Not only that but it can read CAN and foreign vehicle codes, as well as most domestic vehicles. Use it to turn off check engine, SRS and ABS lights, and to look at detailed vehicle information. 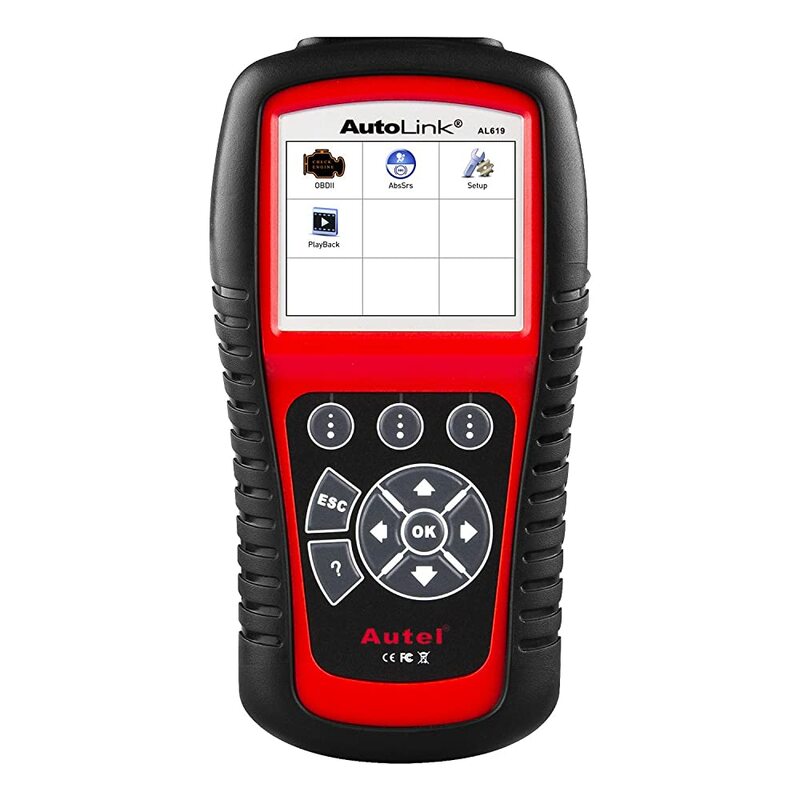 Troubleshooting problems is simple and straightforward when using the Autel AL619 AutoLink Scan Tool. It offers both generic and manufacturer-specific error code reading. With tool in hand, it’s possible to view any ABS and SRS system codes, to help with diagnosing more complex errors. The tool works to reset monitors, clear codes and shut of malfunction indicator lights to help in diagnosing problems as well. Altogether, the tool does everything that a tool two or three times its price will, and it does so capably. The AutoScanner Plus is a capable diagnostic tool that works with both foreign and domestic vehicles as long as they are 1996 and newer. The scanner can handle emissions data, ABS codes and most common problems that you’ll face. It has 3 million registered fixes programmed in to help with pinpointing the exact problem. Not only does this scanner list off error codes, it also displays the top most likely fixes for the problem, making it easy to troubleshoot issues. 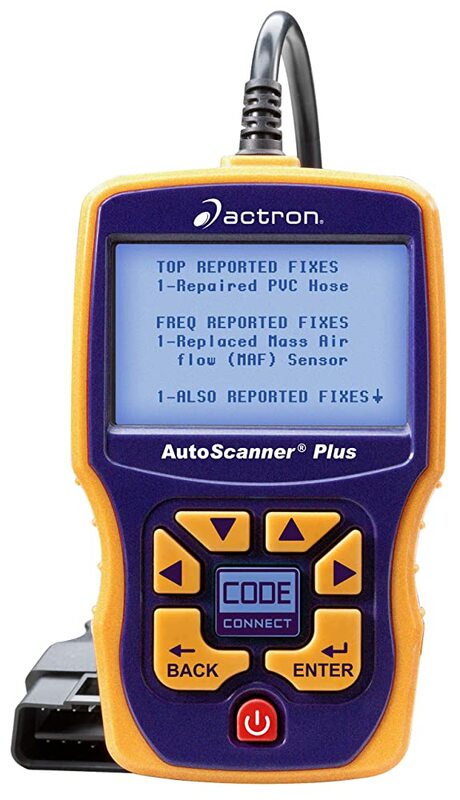 AutoScanner Plus is a highly capable diagnostic tool for mechanics or auto enthusiasts. One major benefit that many people considering an adapter don’t even think about is all the real-time vehicle information that these devices provide.The best of these products offer information like vehicle speed, tire pressure (when available), fuel efficiency, VIN numbers and most other pieces of data that you could want from your vehicle. While testing BlueDriver we were impressed by all the available information, and also the reporting and logging tools built into the accompanying app for the adapter. Users can get all that valuable OBD1 information like vehicle speed, fuel efficiency, and tire pressure, but also more advanced information like VIN, assembly location, and engine information. All that can be captured right on the device in a summary, and then sent to a printer to give you a neat log of the vehicle. OBDLink MX offers all the important features that you would expect from a high grade scanning utility, but it also functions as a trip computer and logging device as well. The product easily picks up error codes and demystifies their meaning. It shows live data like mileage and fuel efficiency, and can log information that’s important to you for later. The scanner comes with a free accompanying app, but also works well with third-party products like Torque Pro and Dash Command to offer even more diagnostic opportunities for serious technicians or home enthusiasts. The Innova Scan Tool is straightforward and highly capable. It comes with PC software that can handle graphing, information lookup and diagnosing most trouble codes. While using the tool you can easily evaluate information in real-time, or look at freeze frame information to figure out exactly when the errors arise. The advanced PC software provides additional information, beyond what the handset does, about specific trouble codes that your vehicle is displaying. With the Autel Scan Tool it’s possible to diagnose issues in real-time, and by looking at logged data as well. The real-time data stream helps with identifying the root cause of some problems, and logging and reporting tools help with locating issues that occur when you’re not looking at the screen, or that occur too quickly to properly track. With live data, graphing and drive cycling data display, the AutoScanner provides monitoring and display capabilities that maker diagnosing electrical and computer related problems simple. Information is available right as it’s processed through your car, but it can also be stored and graphed or put through other data tests. All these different data capabilities make the AutoScanner a highly capable diagnostic tool for mechanics or auto enthusiasts. After extensively testing all five of the above scanners we were able to come up with overall opinions about each of the tools, and conclusively decide on the one tool that offers the best combination of capability and value overall. Each of the scanners will enable a mechanic, or weekend warrior to diagnose common vehicle issues, but of course there can only be one top pic. Read on to get an overview of each tool, and to find out which one we decided was the best overall. The BlueDriver OBDII Scan Tool is a solid all-around performing tool that’s capable of pretty advanced diagnostics while offering useful monitoring abilities as well. For the price, the tool can pick out most common issues and even some uncommon ones thanks to a code database with more than 4.3 million fixes. It can also let you monitor fuel efficiency, vehicle speed, tire pressure and a host of other things with compatible vehicles. This is a solid option for Android, iPhone or iPad owners that don’t mind using their devices to diagnose issues. The ScanTool MX Bluetooth Scan Tool is a good combination of value, simplicity and capable performance. It doesn’t come with quite as many tools as the Bluetooth scanner from BlueDriver, but it’s so darned easy to use. If you’re looking for simple performance and you want to be able to diagnose most issues reported by the computer, this device will serve you well. It’s important that you have an Android mobile device though, because that’s all this product is compatible with. The Scan Tool from Innova stands out from among the handset devices as one of the best OBDII scanner tools because it comes with computer software and a cord to get diagnostics on your computer. It offers highly detailed information and is well-suited to a professional environment. You can easily check error codes on most vehicle models, and get vehicle information very quickly. It’s not the most straightforward to use device, and does require some time to learn properly. Casual users might find this device more cumbersome than other more straightforward products, but professionals will quickly learn to make the most of its speed and effectiveness for diagnosing many different vehicles. The Autel Scanner is the first of the handheld devices that we reviewed, and the simplest of the bunch. It’s capable of diagnosing most generic problems just fine and can pick up some manufacturer specific codes as well. We like it for its simplicity, because you can pick it up and begin using it. It is a bit more work to update than other handhelds are, but once properly configured this scanner works like a champ and is one of the top rated OBD2 scanners. The Actron Enhanced scanner comes with all the features and more that you can expect at this price point, making it one of the best professional automotive scan tool options. It’s simple to setup and start using, but has a more complicated menu system than the other scanners we tried out. If you’re willing to glance through the menu you’ll have no issues checking for error codes, picking out drive cycle data and handling more complex tasks like diagnosing an emissions system. It’s also one of the few devices that comes with a power button, which we like to stop drawing power needlessly, if it is left plugged in. After comparing all these scanners to one another two things became apparent. The first is that there are a lot of capable scanners available for troubleshooting purposes at very reasonable price points. The second is that often the Bluetooth devices as a better deal than the handheld units are. That’s why the BlueDriver Bluetooth OBDII Scan Tool was selected as the very best diagnostic scan tool. It’s tied into a repair database with over 4 million fixes recorded, and offers all the advanced capabilities of the handheld scanner tools, but also comes with additional monitoring functions for regular drivers. When paired with a capable tablet or smartphone you can monitor most of your vehicle’s vitals. When a warning light pops up, it’s simple to scan for the code on most model vehicles. Not only is the product capable of diagnosing most issues, and useful for monitoring your vehicle as you drive around, it’s super easy to set up and to keep updated. It pairs with the custom-built app that you can get on your Apple or Android device, and it will update automatically on most devices each time new features are released. 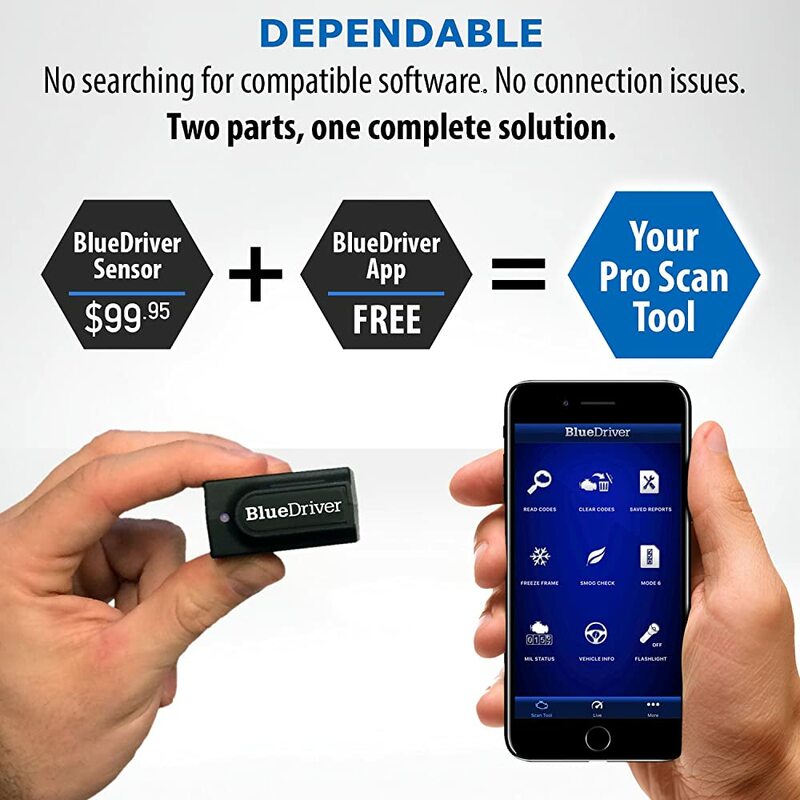 When you’re looking for the best combination of diagnostic capability, monitoring features and usability, you really can’t go wrong with the BlueDriver Bluetooth OBDII Scan Tool. It’s certainly the tool I’d want in my garage the next time a warning pops up on one of my vehicles. Jason is a talented and advanced author, blogger and auto expert. He is determined in researching thousands of products so as to make it easy for the owners to find the best products. He focuses on giving users better understanding on products they are using and ones they anticipate to buy. What you say is really fascinating. This product looks really fantastic. With no doubt, I have been deeply attracted. Last time, I bought a similiar product, called Auto Diagnostic Code Readerhttp://www.dwz.cn/wuwu12, which is relatively cheap.So far, i am still satisfied. 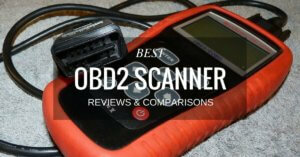 A Great list of OBD 2 Scanners. The Actron CP9580A was impressed me. Thanks for your detailed explanation. Sign up to receive information about automotive parts & accessories deals. Zoniv.com is a participant in the Amazon Services LLC Associates Program, an affiliate advertising program designed to provide a means for sites to earn advertising fees by advertising and linking to Amazon.com. Additionally, Zoniv.com participates in various other affiliate programs, and we sometimes get a commission through purchases made through our links. Copyright © 2019 by Zoniv.com. All Rights Reserved.